Hi Berries & Happy New Year Berries! During Christmas seasons, Althea Korea has launched three types of holiday edition beauty boxes which are Gold, Red and Black Sparkling Box! 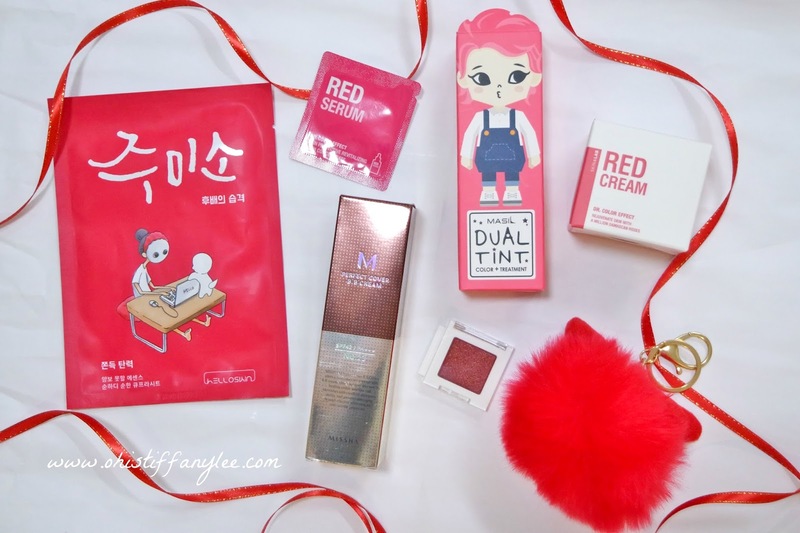 I have actually checked out three of the Althea Holiday Edition Box and my eyes have fallen on Red Sparkling Box as I'm interested with most of the products & I can use these "Ang Ang(Red)" products for upcoming Chinese New Year too haha! 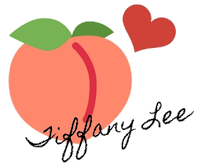 So yay, it's time for my another episode of Althea Box review! What's in Red Sparkling Box? There are total eight RED items in this box & I can't wait to share with you my thoughts on every products here, without further ado, let's begin yay! As I have a dry skin, moisturizer is one of the most important products in my daily skincare routine. 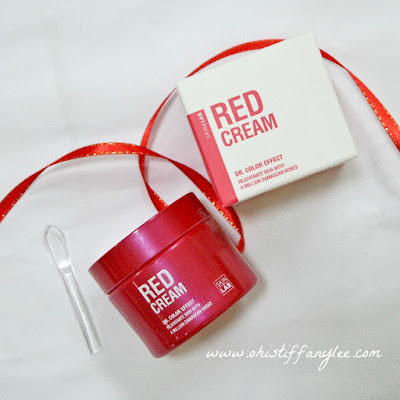 SKIN&LAB Red Cream (50ml, RM77) has claimed to restore skin elasticity, skin firming, moisturizing, anti-aging, brightening and also balance skin oil moisture level. It contains Damascan Rose extract which works as an anti-oxidant effect for better skin improvement. This cream is highly recommended to use after apply SKIN&LAB Red Serum. The packaging is red and simple just like its name. It also comes with a plastic spatula to scoop the cream out without using hand to touch the product. The texture of the cream is in gel type which is suitable for oily and acne skin people who wish to get their skin hydrated without overwhelming pores. 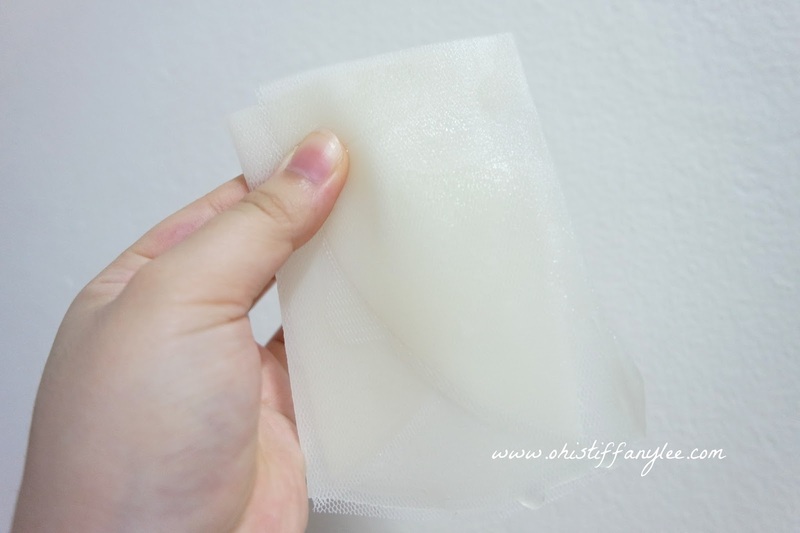 I usually used it during night time and before makeup to avoid flaking. 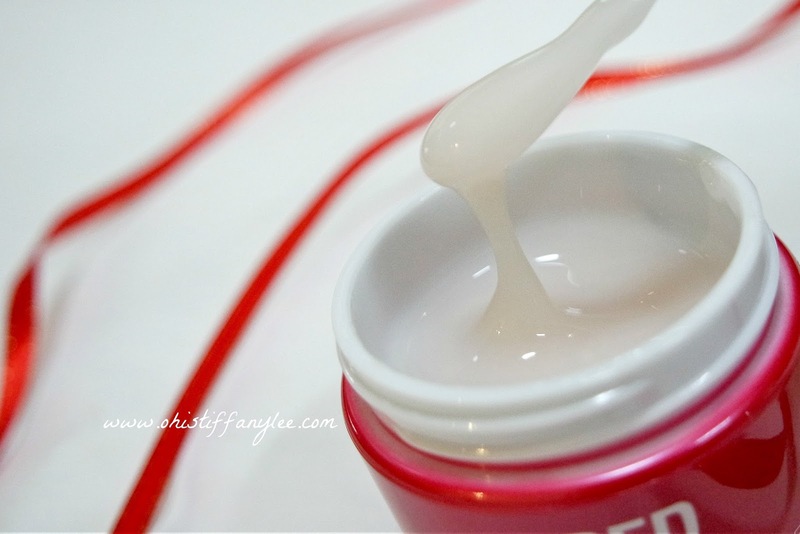 Right after the serum, you just need to take a liberal amount of cream by using the spatula and apply it on the skin. It is easy to spread on your face and comes with delicate rose scent. The downside of this product is the cream is still leaves a sticky feeling on skin although they promised it won't. Luckily, it does not cause my skin breakout but gives me more hydrate and brighter skin. MISSHA Perfect Cover BB Cream #23 is one of the best selling products in Althea Korea website. It has stated that it will gives skin soothing effect, triple care (UV protection SPF45 PA+++, wrinkle care, whitening care) and with good coverage. The packaging is so pretty and it is designed in chrome effect, even the BB cream tube as well! It's been a while since I used BB cream as I always prefer to use BB cushion for my base makeup so hopefully it will give a good impression to me. I was actually quite worried about this BB cream as I couldn't choose shade #21 for my skin tone. 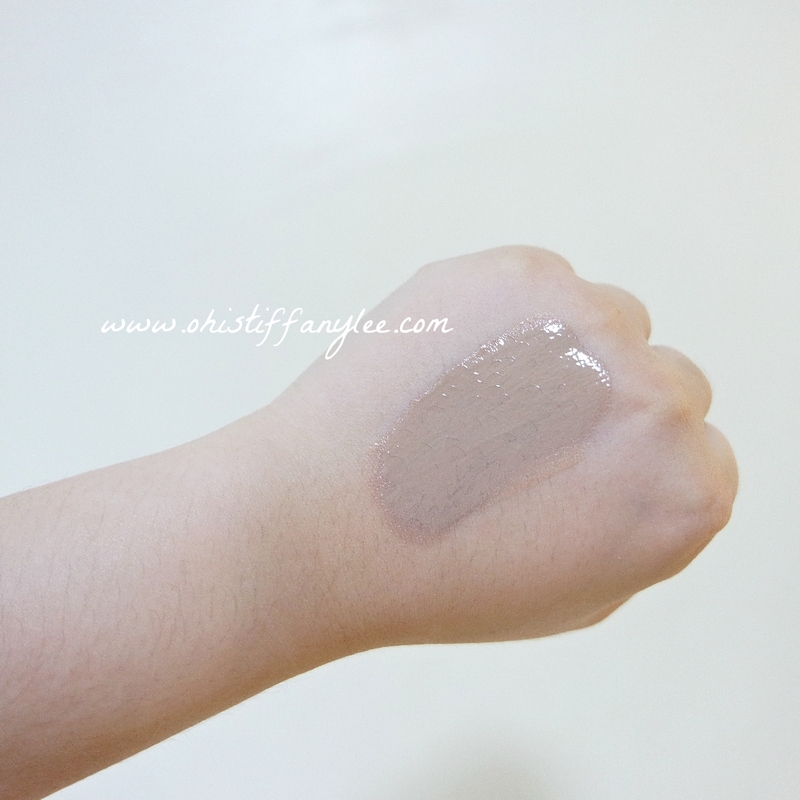 The shade code that I got for this BB cream is #23, which is more suitable for medium to dark skin tones. Unsurprisingly, while I tested it on hand, you can clearly see that it is darker than my skin tone with some greyish cast. In spite of that, the scents of this BB cream is smell as good as lotion and the texture is easily blended by hand or sponge. Another thing I liked about the design of BB cream tube is it comes with a pump, thus you can control the amount of BB cream as you wish & it is more hygienic. As I'm more comfortable with using hand, so I just squeeze out a small amount on hand and blended with my finger. 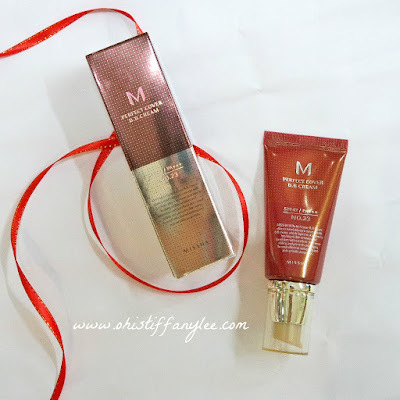 I was unexpected that MISSHA M Perfect Cover BB cream will actually oxidize and autofit with my skin tone. 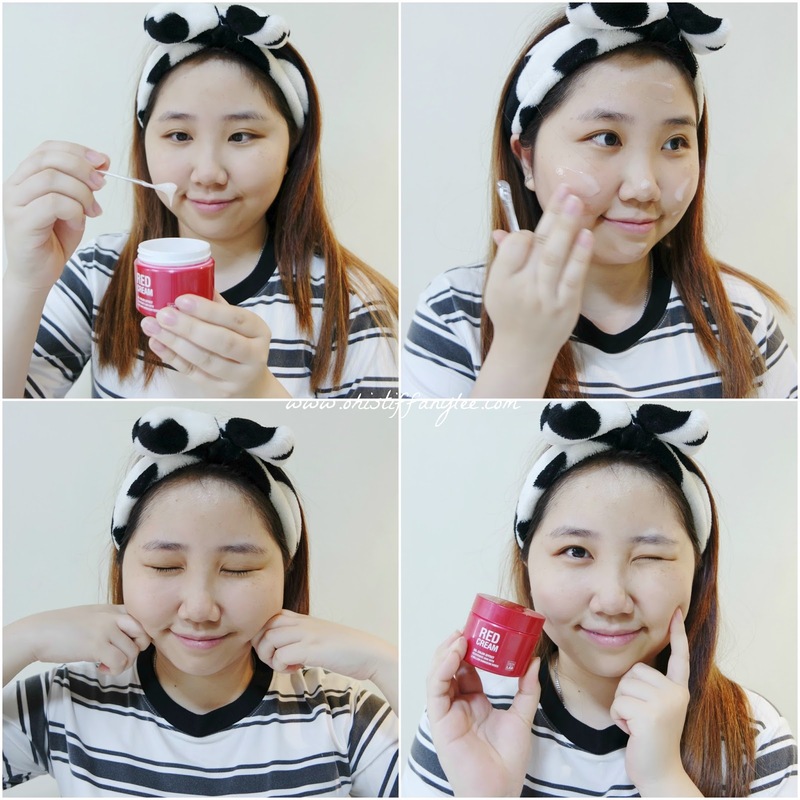 It gives my skin a brighter, smoother & dewy finish look. You can still use powder if you do not prefer dewy effect. Not only that, its medium coverage has covered most of my pimples on my forehead and freckles. Yet, I couldn't really see very obvious results for wrinkles improvement as I have only used it for few times. 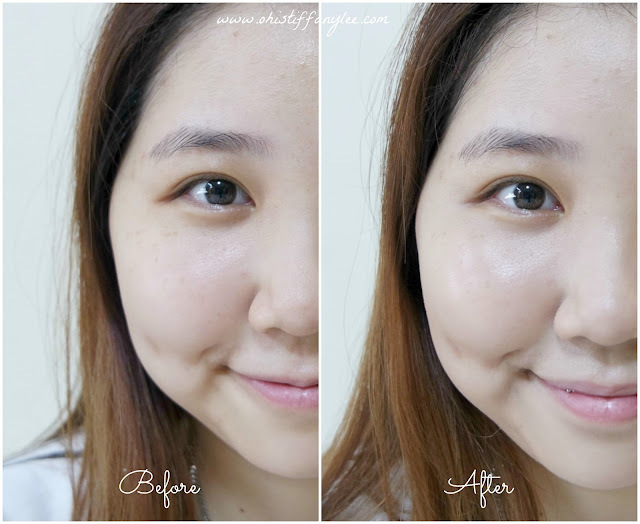 Overall, it is still a best BB cream for me so far which I will consider repurchase it! 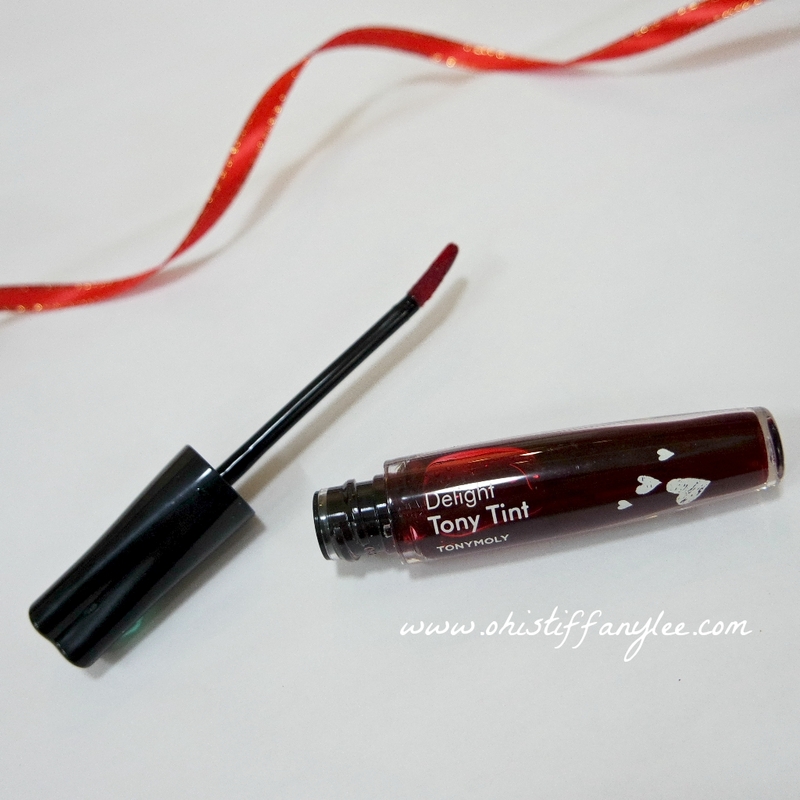 I always saw this Tony Moly Delight Tony Tint on Althea Korea website and it only cost for RM13 each. 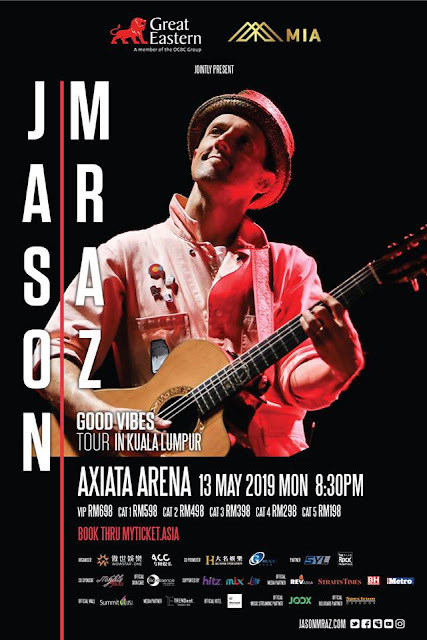 The price is really affordable, especially for students! I always forgot to add it to my shopping carts and now I finally get the chance to try out! So far it has only three shades at the moment & what I got is #02 RED. I always get impressed by Tony Moly cute packaging, as you can see the cap of lip tint is in love shape (super cute I kenot!) 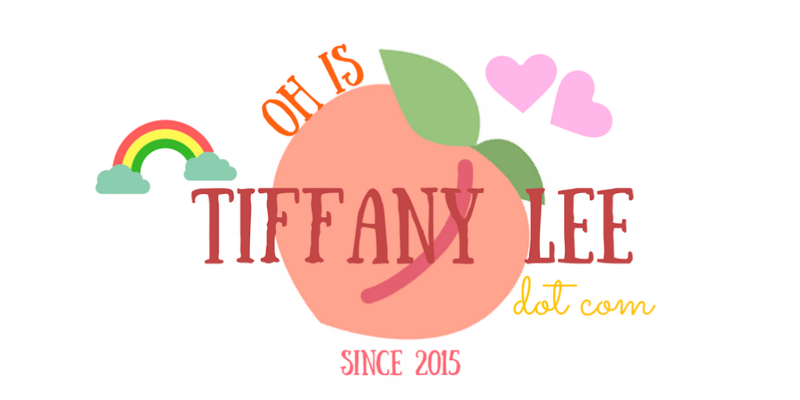 The lip tint has a sweet fruity scent, if need me to describe it, it smells exactly like a fruit candy. By the way, the lip tint comes with a doe foot applicator & you can either use it to dab or apply directly on your lips. 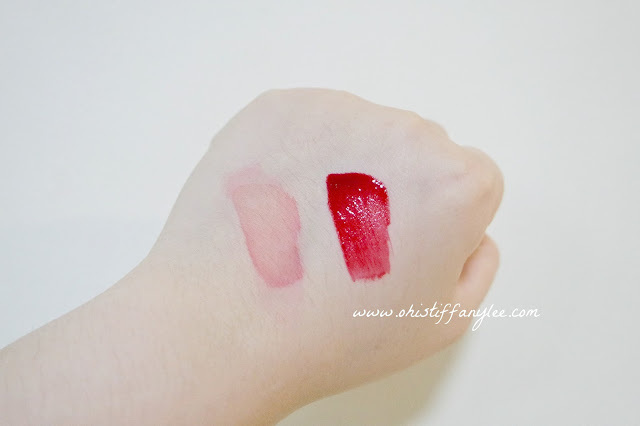 The lip tint's texture is more like liquid gel consistency, which is quite different with the normal lip tint that I used. I tried to swipe off with tissue, the colour has faded but it still stains on my hand. The colour is a pigmented vivid red which I really love it. When you first apply, it looks glossy but once it dried up, it will turn to matte finish. Do make sure that you apply it well as it is hard to remove. You might need to practice few times so your lips won't look patchy. I would also suggest applying in front of the mirror to avoid over-applying your lip line. 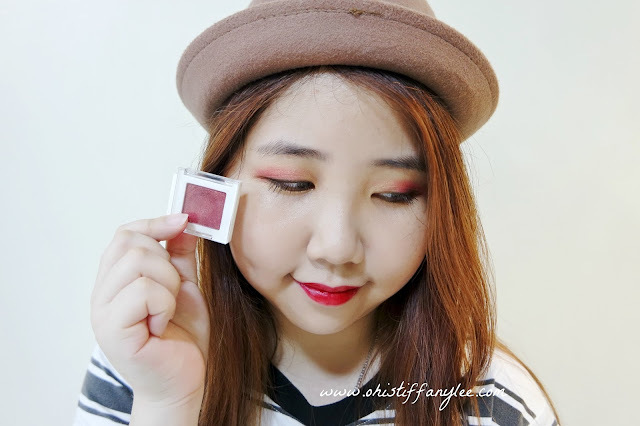 For Korea eyeshadow, I usually prefer to get myself a mono eyeshadow instead of palette. Although the price might be higher but it is more pigmented than and you can decide which shade as you want. There are many shades for THE FACE SHOP Mono Cube Eyeshadow but I can't find it on Althea Korea website, so I guess it is only available in Red Sparkling Box. You can actually combine together with other mono eyeshadow from The Face Shop & it will become your personalize eyeshadow palette. The shade that I got from this Althea Box is #RD01 Red Peony, a vivid red with gold glitter. 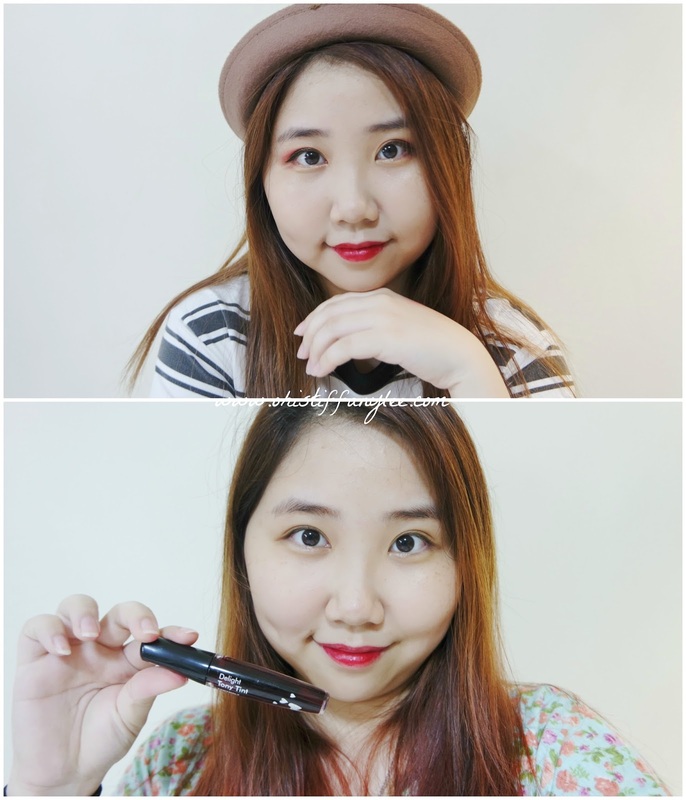 It is a jelly-powder type of eyeshadow which is easy to pick up. 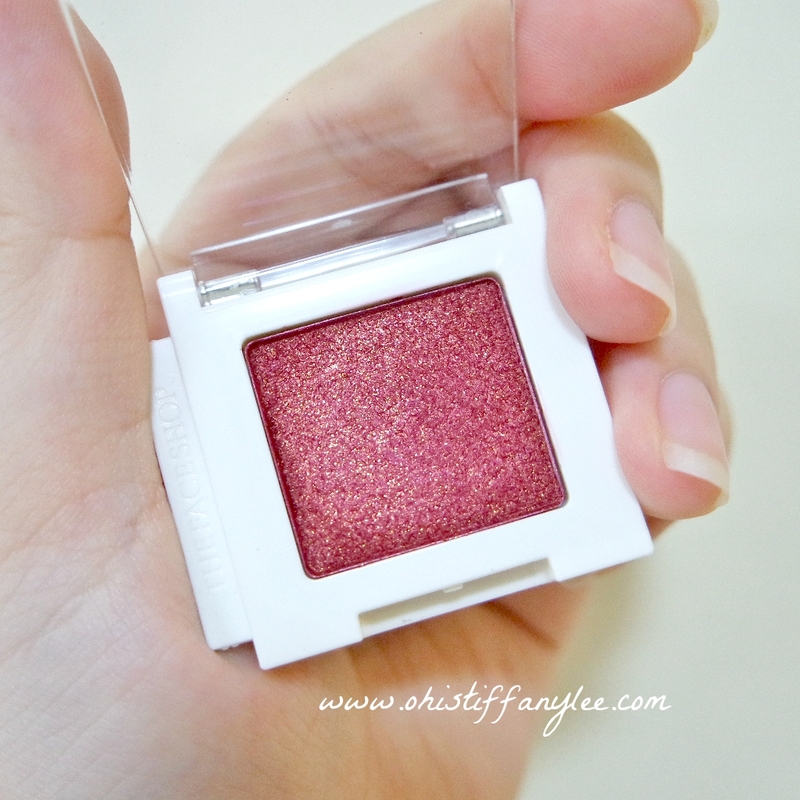 It has a similar texture with Holika Holika mono eyeshadow that I got from Pink Vibes Box. I'm still a beginner for use and mix eyeshadow colour. For this shade, I used it either apply to my whole eyelid or outer corner of my eyelid after a layer of lighter shade eyeshadow. It actually turns out pretty well. It is a great shade for special events or party to make your eyes POP! For the products that I going to talk about my first impression instead of reviews which are SKIN&LAB Red Serum & Hello Skin Jumiso Chewy-Elasticity Mask. 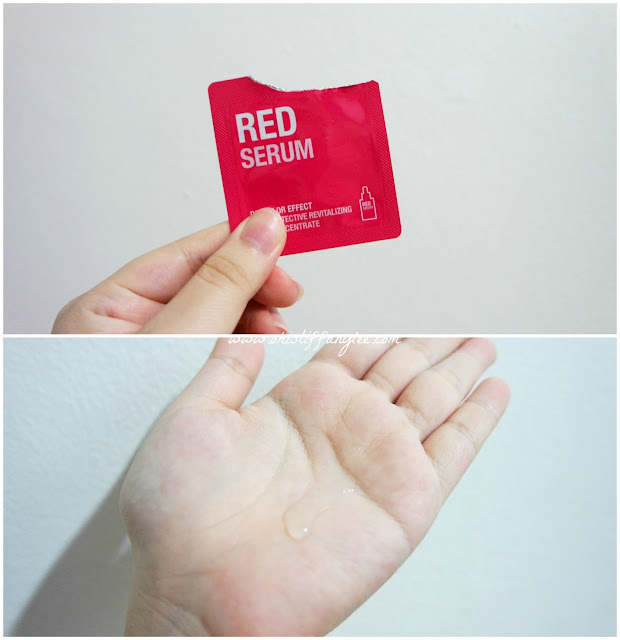 SKIN&LAB Red Serum has lots of good reviews on social media platform and it actually makes me curious how good it is. According to the information, this product is helps in brighten skin tone, firm and balance skin structure, moisturizing, whitening, wrinkle care, calming and oil control. It also suggest to be use before the SKIN&LAB Red Cream. Although I can't see any instant effects on my skin as I'm only trying mini samples, but overall it absorb well into my skin. If you're interested, you get choose to get a full-sizes serum on Althea Korea at RM78 (40ml). I did reviewed Hello Skin Jumiso mask sheet on my previous Althea Box post and this time I got the same mask range but for different purpose. 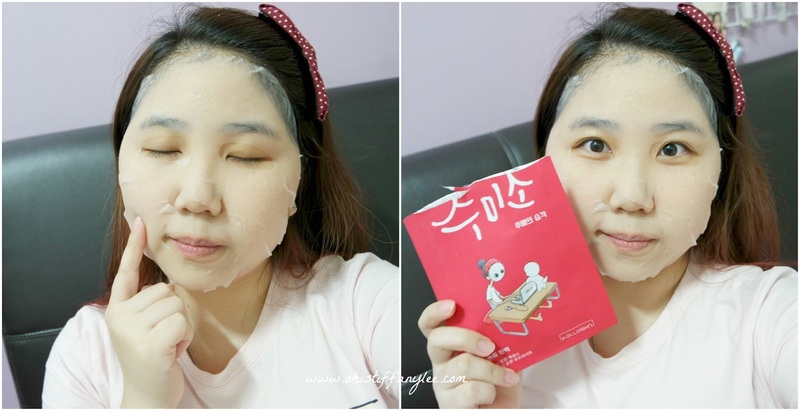 Hello Skin Jumiso Chewy-Elasticity Mask helps to firm your skin and restore your skin elasticity as it contains egg membrane with rich collagen so your skin will become as smooth as half boiled egg! Not to mention that you can also get it at Althea Korea website and the price is RM9 each and 5 sheets for RM36 only. There is two layer for the mask, the first layer with mesh is purposely for protecting the thin layer mask. For the thin mask is made of 100% Cupra cotton, which is a mildest cotton to give your skin breathable and quick absorption effect. Here's a short gif for showing how to remove the mesh layer. As I only used it once so I can't tell you whether it works on my skin. But what I can tell you is the mask is really thin until it is like sticking on my face. Also, the essences does not makes your skin feel any stickiness at all so you need not wash it off. 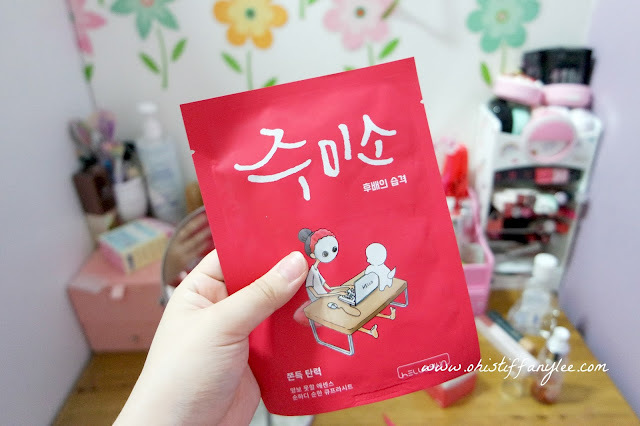 If you're the person prefer more essences in a mask, probably Hello Skin Jumiso Chewy-Elasticity Mask is going to be your ideal mask. I tried to pour out some essences from the packaging, and realize the essences is so many until can already apply to my leg and hand! I'm just so excited to try out this! 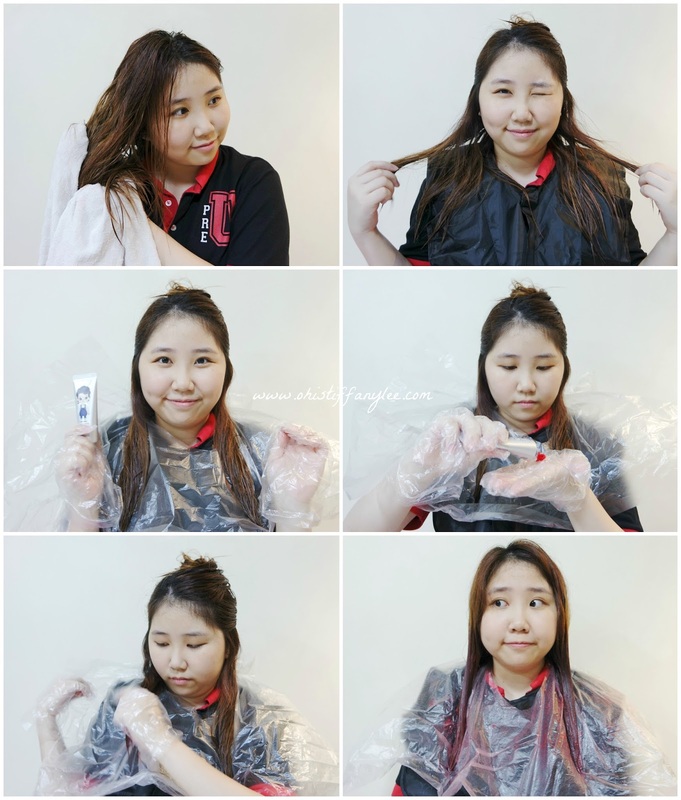 As I love to dye my hair but it makes my hair become more frizzy and dry. 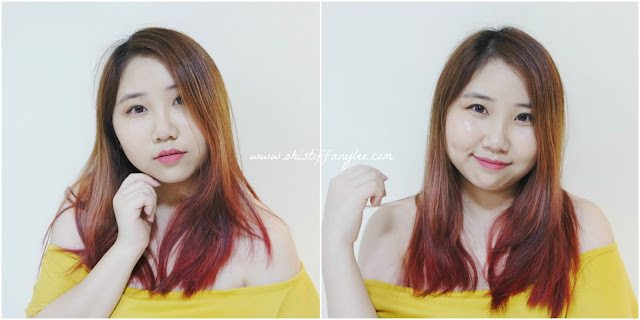 When I received MASIL Colour Treatment Dual Tint #Pink Red, I have high expectation on it as it is color treatment which tints hair claims to be nourish and tint your hair without hair damage (highly recommend for hair colour player). There are many colours to choose for MASIL colour treatment tint. 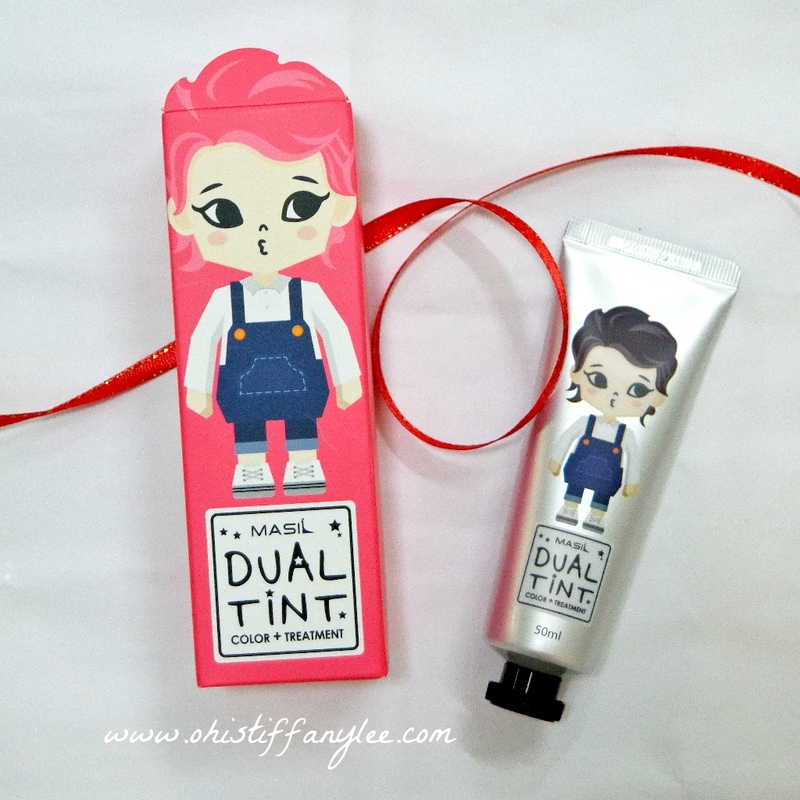 Unfortunately, just now I checked it at Althea Korea & find out there is only left one colour on their website. (Althea please bring in more!!!!) The price is RM21 each box & it is suggest to use 2-3 tubes for short hair, 4 tubes for long hair. So I'm just going to test on my lower part of the hair as I only got one tube. 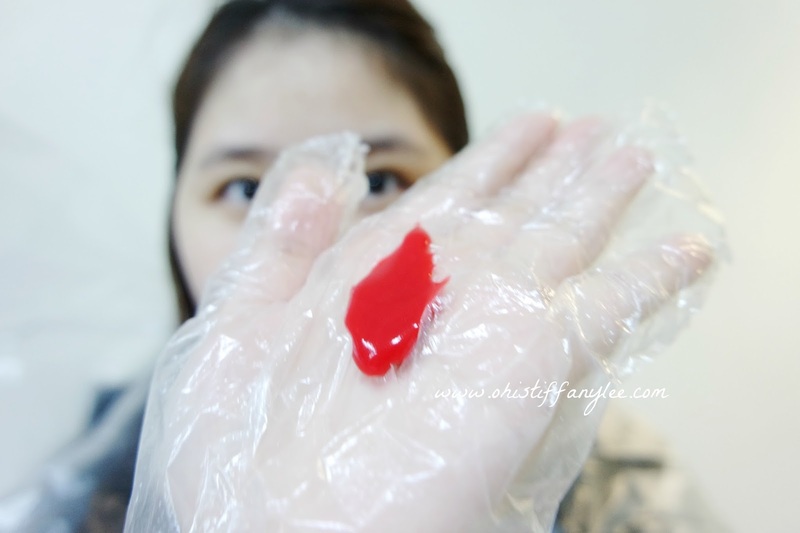 The hair tint treatment is quite interesting, as it is not in liquid but in paste-like texture. Unlike the usual hair colour products, it has a sweet fruity scent that makes me feel comfortably during the process of tinting. The box has comes with one pair of disposable plastic hand glove and gown too. Before applying the hair treatment, you need to wash hair and dry it with a towel. Make sure you didn't use any normal hair treatment on your hair. Since I have long hair, so for me I only apply the lower part of my hair to create a gradient hair look. After the tinting process, you need to wait at least 20 minutes then only wash off without using shampoo. I love the results on my hair and it gives me a new hair look. My lower part of the hair become super smooth and easy to comb! I might not repurchase again as there are variety of hair treatment tint from different brands like Etude House, April Skin, 3 Concept Eyes, so I maybe will try out the other brands and do a comparison review for hair treatment tint in future post. Yet it is still a worth hair tint product to get based on its price and results. 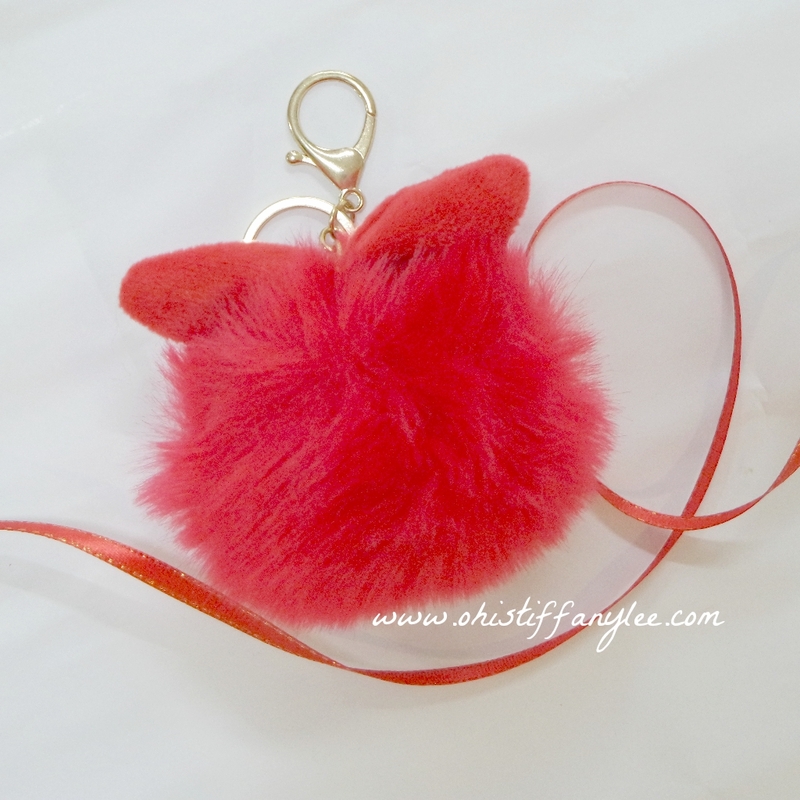 This super puffy keychain is my favourite! I put this Pom-Pom Rabbit Key ring on my new bag for extra enhancement. I love how it actually make my bag more stand out and extra cute hehe! 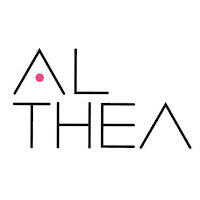 Althea Box is always sold out on their website since you able to receive all full-size products with cheaper price, compared with purchasing each of it separately. 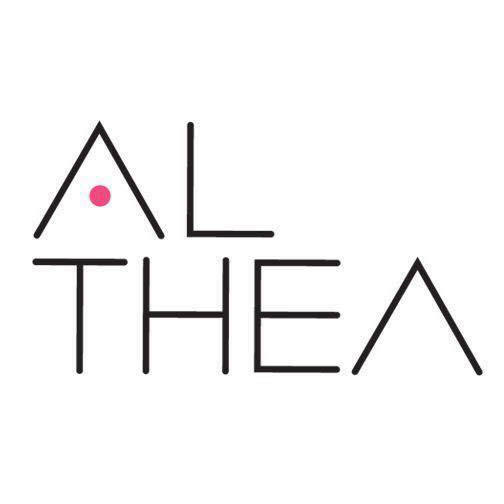 Do make sure your notification for Althea Korea is always on so you won't miss any of it hehe! Now you can get Red Sparkling Box at only RM116 & it is still available on their website, so don't say I didn't tell you yo! 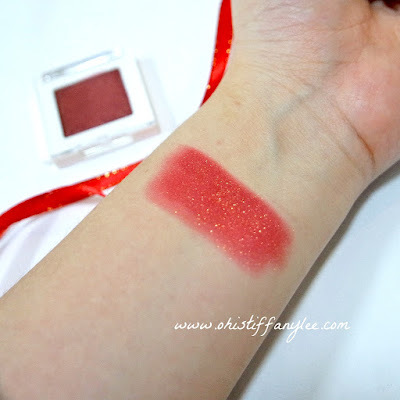 That's all about my review on Red Sparkling Box today, so what do you think hehe? The product reviews are based on my personal experience, sometimes the product may work for me, but not other people. Hopefully my reviews is helpful for you! 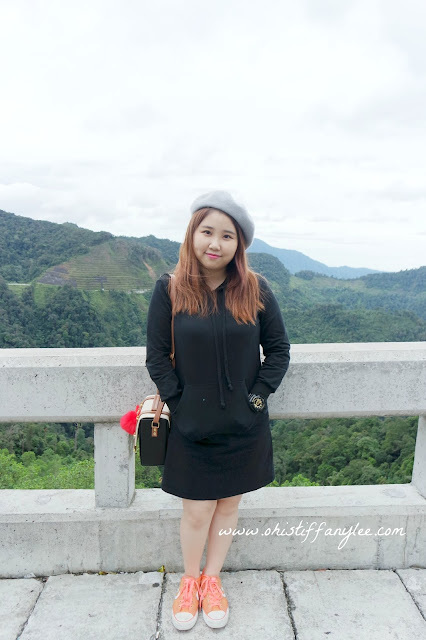 Kamsahamida and see you in next post! gonna consider some of the goodies for cny! red red reddd! Thanks Geraldine! 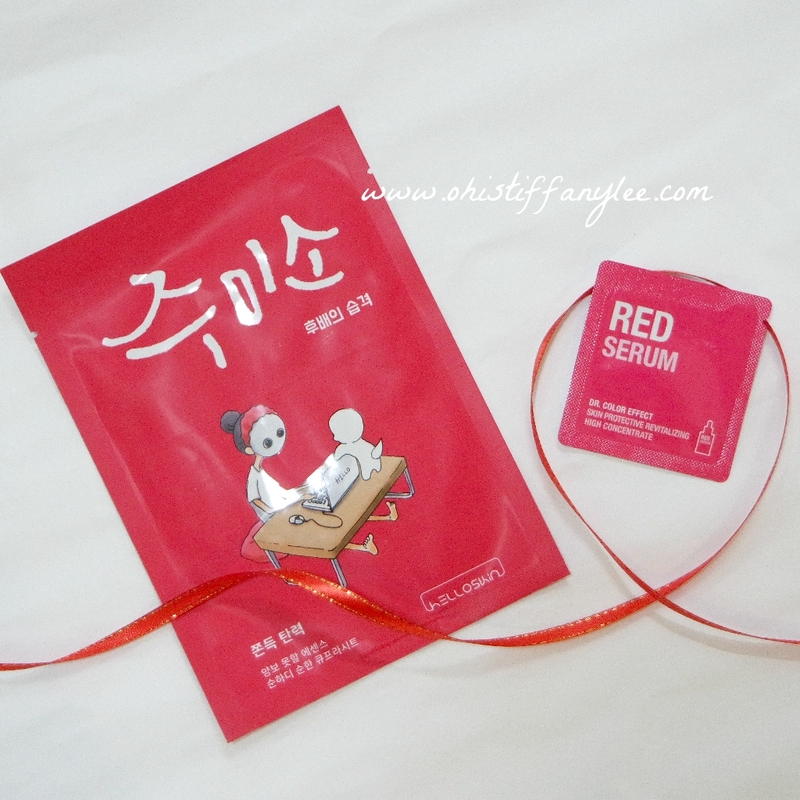 I personally recommend this Althea Korea as the products inside is really worth to get & CNY is coming soon so you can makes yourself more RED haha!